Although Fundraising is not the main goal of Seven Lakes High School PTSA it is a necessity! 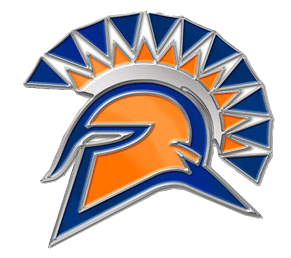 - Scholarships to several hard-working Spartan seniors continuing their post high school education. - Teacher hospitality throughout the year to support and thank our wonderful teachers for the job they do through luncheons and other PTSA sponsored events. - Yearly teacher scholarship and grants for the academic enrichment of our students. Please consider becoming a Spartan Sponsor by donating to our yearly WRITE A CHECK campaign. We have several different donation levels to choose from or you may donate an amount you choose. Every dollar you donate makes a difference. Thank you so much for your support!! Please click the “Donate” button below to view the levels and donate directly to the Seven Lakes High School PTSA. If you prefer to donate by writing a check, you can download the Just Write A Check form and turn it in to the SLHS front office. Please make checks payable to SLHS PTSA. If your employer provides a matching program please provide your employer’s name on the form. We also have a Community Partners program so that businesses can also participate in our Fundraising campaign. If you have a business and would like to partner with Seven Lakes High School PTSA please click on the Community Partners Form to find information about the program and send in the information requested. Don’t forget ALL Donations are 100% tax deductible because the Seven Lakes High School PTSA is a 501 (c)(3) non-profit organization. For more information, please contact our VP of Fundraising, Lynn Farmer. We thank you for your generosity and continued support!